Thinking of buying a puppy? Check out the RSPCA guide to buying a puppy. Get Puppy Smart! 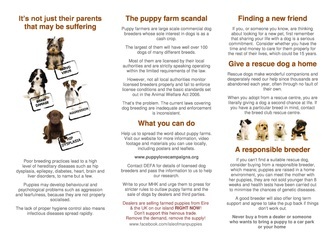 The UK Kennel Club also has a good list of resources available. 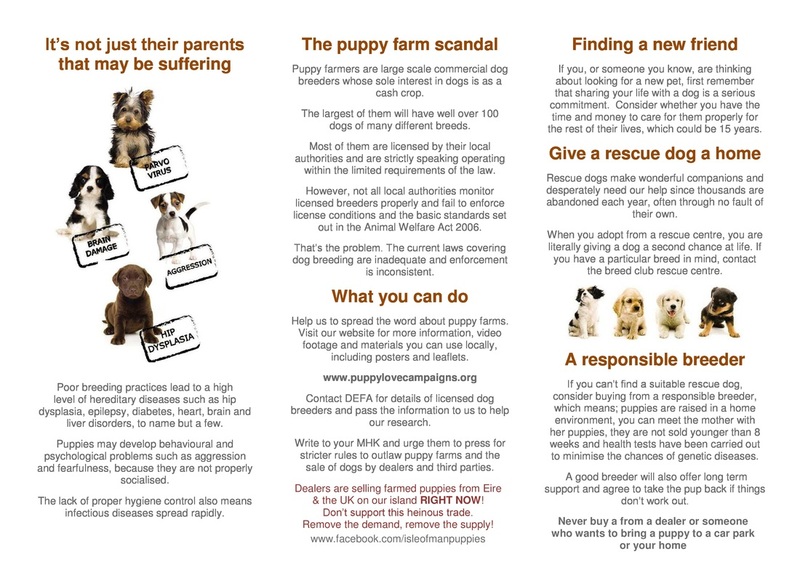 Have you bought a poorly pet from a puppy farm, puppy dealer or petshop? Visit the Pet Advertising Advisory Group website for details on action that you can take. You can also visit the Puppy Love Campaigns website for more information. 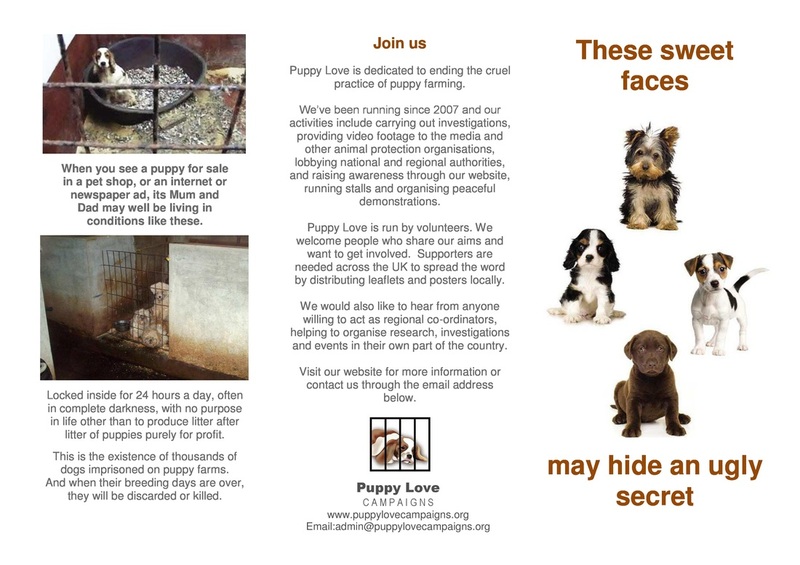 Puppy Love Campaigns have kindly given us permission to share their flyer which has been amended for the Manx campaign. The flyer can be downloaded by clicking on the Download File link below. When printing, set your printer to print double sided. Please share the flyer with your vets, dog training clubs, dog groomers, kennels, homestays, pet shops and of course your friends & families.